Lena R. (nee-D’Anna) Conte passed away on Tuesday, January 29, 2019 at Morristown Medical Center in Morristown. She was 77. 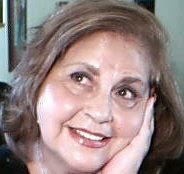 Family and friends are invited to attend a visitation for Lena on Thursday, January 31st from 5-8PM at Par-Troy Funeral Home, 95 Parsippany Rd in Parsippany: (973) 887-2325 or visit www.partroyfuneralhome.com. Funeral services will be held on Friday, February 1st at 10:30 AM at Par-Troy Funeral home as well. Interment: Gate of Heaven Cemetery, Ridgedale Ave., East Hanover. Lena was born in Naples, Italy and came to the United States in 1967. She lived in Jersey City before moving to Parsippany in 1970. Lena was a dietician for St. Clare’s Hospital in Dover for many years before retiring. Lena’s passion was her family, especially her grandchildren, whom she lived for and spoke of every single day. Lena was loved dearly and will be missed by all who knew her. She leaves behind her son Joseph and his wife Beverly; Daniel and his wife Martha; Nancy Keeler and her husband Andrew. She is also survived by her long-time friend and ex-husband Dominick as well as her loving grandchildren Domenic, Anthony, Vincenzo, Luca, Heather, and Robert.